Ancient Egypt seems to hold an enduring fascination for many children. Perhaps because it seems so exotic, it is usually easy to get the kids excited about learning about ancient civilizations. Stories are a wonderful way to bring faraway places closer. 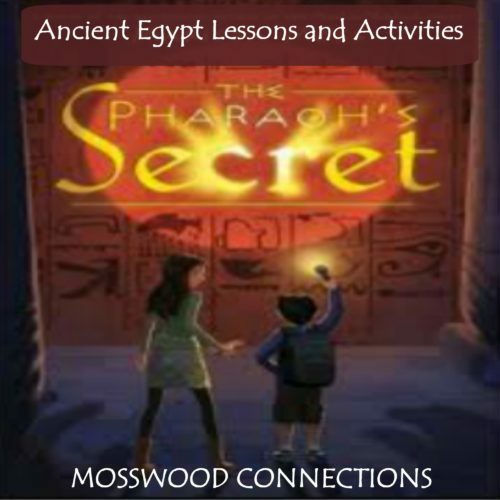 The Pharaoh’s Secret by Marissa Moss does just that. Through the magic of historical fiction, it brings two modern children back in time to the time of Hatshepsut. Packed with action and rich with historical facts this book is a perfect companion to an Ancient Egypt Unit Study. When Talibah and her younger brother, Adom, accompany their father, an academic, to his homeland of modern Egypt on his research assignment, they become involved in a mystery surrounding an ancient, lost pharaoh-a rare queen ruler. Someone has tried to wipe her from the official record, to make it appear as if she never existed! She needs Talibah to help her and her high priest, Senenmut, reclaim their rightful place in history. Exotic locales, mysterious strangers, and a sinister archaeologist round out an adventure that is full of riddles, old tales, and, most surprisingly of all, a link to Talibah’s and Adom’s mother, who died mysteriously. Have the students figure out what their names would be in Hieroglyphics. They can write hieroglyphic notes to each other and decode what they mean with a Hieroglyphic Typewriter. Sports were important to the ancient Egyptians. Have the kids research what sports were popular in Ancient Egypt. Then have them write or draw about what they learned. Have an Ancient Egypt sports day: tug of war, pass the hoop, etc. Research Ancient food. What would it be like to dine like a Pharaoh? Make one of the recipes. We made Basbousa and the kids thought it was delicious. Ancient Egyptians used papyrus to make paper. Here is an easy method to make your own version of papyrus paper. Make a Cartouche or a Pharaoh’s headdress. Here is a fun list of Ancient Egyptian crafts. Have a pyramid STEM challenge. Kids can make origami pyramids, use clay blocks or sugar cubes, or you have a lot of patience, make one out of toothpicks. Mehen is also known as the Game of the Snake, references the snake god of the same name. Evidence of Mehen dates back as early as 3,000 B.C. The board is circular and it is a snake curled around itself divided into rectangular spaces, with the head of the snake at the center. You can print the game and give it a try! Test your knowledge! Play a trivia game about Ancient Egypt. Looking for more Ancient Egypt activities, chapter discussion questions, vocabulary, and key standards? 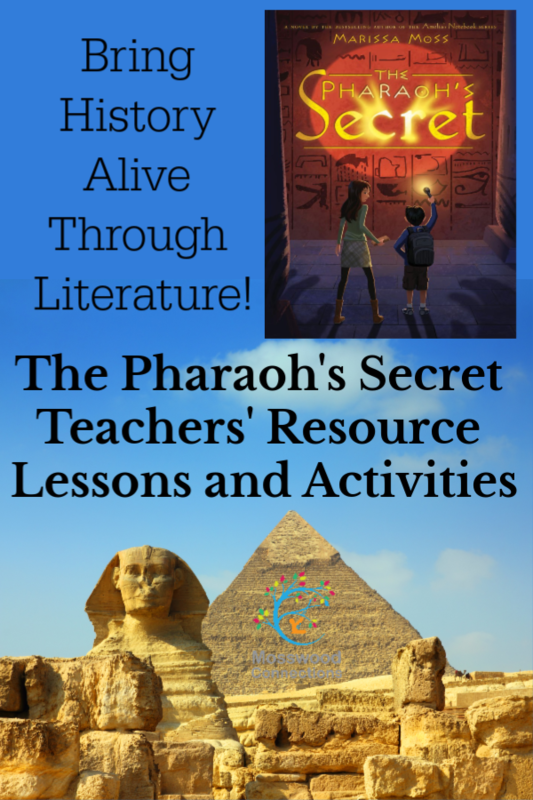 Download our Teacher’s Resource Guide for The Pharaoh’s Secret. Amelia’s Notebooks by Marissa Moss follows Amelia from elementary school to middle school. As Amelia grows we can relate to her growing pains, which are always written about with humor and insight. How to be Human; Diary of an Autistic Girl by Florida Frenz (AKA Georgia Lyon) – The lessons in this guide are a roadmap to a treasure trove of social skills activities that we have used for years in our work with children on the autism spectrum.